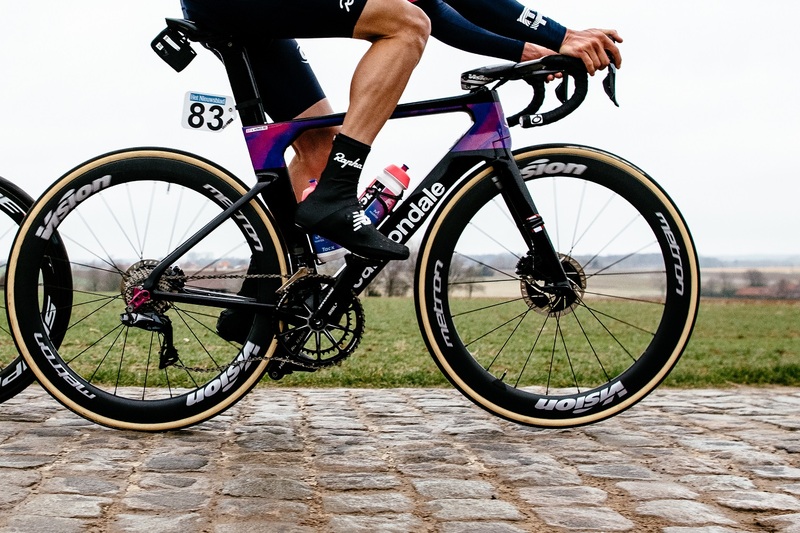 Alberto Bettiol (EF Education First) dominated the terrible Tour of Flanders cobblestones with Vision wheels. The Italian rider took his first pro win at Tour of Flanders, twelve years after the last Italian win with Alessandro Ballan. The EF Education First rider won with an incredible solo one of the most popular and prestigious races in the world, considered the “University” of cycling races. 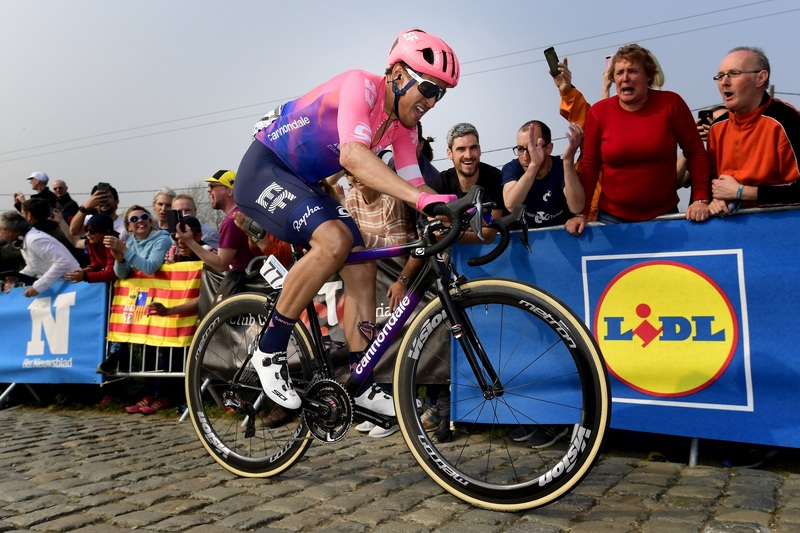 Bettiol has stunned the favorites, including World Champions as Valverde and Sagan, Olympic Champions as Greg Vanavermaet and former Tour of Flanders winners. His gap never wavered. He benefited from a disorganized chase and the composition of the sprint-heavy chase group. No one rider or team wanted to commit to the work, and his teammate Sebastian Langeveld was on-hand to squash any momentum the chasers attempted to build. Considered the "University" cycling races, the Tour of Flanders is a fundamental test not only for riders, but also for cycling brands. On the stones of the Northern Europe bikes and components are subjected to harsh stresses for over 50 kilometers of cobbles, and the FSA products have passed the test with full marks! Bettiol won on a Cannondale Supersix Evo bike equipped with Metron 55 SL Tubular wheelset. The Metron 55 SL Tubular is Vision’s Aero carbon rim wheelset chosen by EF Education First riders during the 2019 racing season. Thanks to its lightness and aero attitude (55mm depth rim), Metron 55 SL Tubular are the ideal choice to face the cobblestones, as well as the flat and mixed stages of GTs. • Lightness: this handmade wheel features the most advanced Vision carbon technology coupled with state-of-the-art manufacturing processes. • Aerodynamics: ultrafast and stable aero wheel developed through extensive CFD analysis and wind tunnel testing. 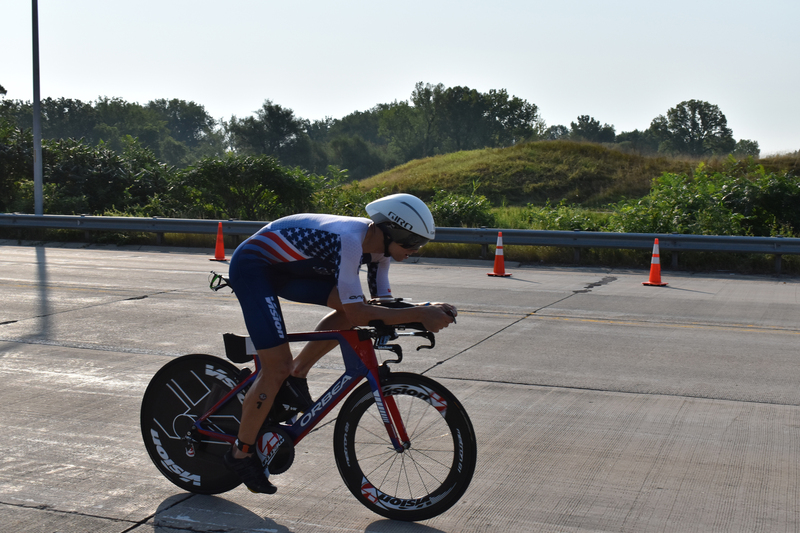 Riders have long understood that a deeper wheel is dramatically affected by side winds, and that riding in sidewinds is not uncommon. • “Easy to use”: the FSA Preload Reduction Assembly called system applies a preload to the hub bearings via threaded clamps. It provides a bearing adjustment without dismounting. And the support of Vision too, we can add!